A pet boarding facility at a Bukit Panjang house was raided by the authorities last Saturday, following complaints that pets in its care were mistreated. 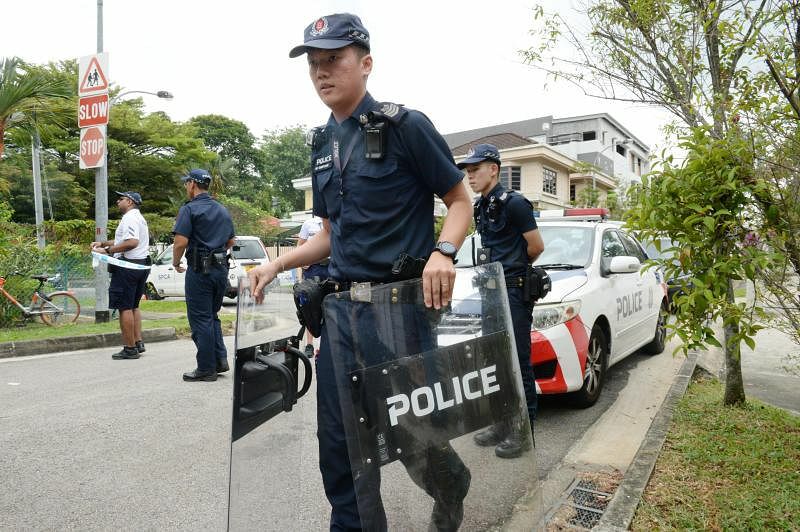 It is understood that the raid in Galistan Avenue was carried out by the Agri-Food and Veterinary Authority of Singapore (AVA), the police, and the Society for the Prevention of Cruelty to Animals (SPCA). The pet boarding service is run by Platinium Dogs Club, which advertises a variety of services on its website, including overnight board for dogs, day care, and grooming. The site described the facility as "fully air-conditioned daily", "large and spacious" and "cage-free". It promised to "provide special dietary menus for your little ones", and said staff would attend to pets if they needed medical attention. Asked about the raid, Dr Jaipal Singh Gill, executive director of the SPCA, told The Straits Times yesterday that SPCA staff entered the facility last Saturday afternoon. He said: "Three SPCA personnel were present, including one veterinarian. There were a number of dogs and one rabbit in the house." Dr Gill also said the SPCA had received a number of complaints against the boarding facility. "The SPCA's immediate concern is the welfare of the animals in the house," he said. "In such cases, the SPCA takes the necessary action to secure the animals' welfare. The nature of the action depends on the condition of the animals and their living environment." Asked about the animals' condition and action by the SPCA, Dr Gill said the SPCA was unable to provide further details for now. The AVA was also not able to provide further details as it is still investigating Platinium Dogs Club. It is believed that members of the public had also complained to the AVA that their pets were ill-treated at the boarding facility, and a police report was made. When contacted by Chinese-language daily Lianhe Wanbao, a Platinium Dogs Club spokesman said that the facility had not abused any of the pets found during the raid. The spokesman also sent Wanbao a chain of WhatsApp messages that showed Platinium Dogs Club telling a dog owner that the facility's staff were unable to take care of a dog as the animal was unwilling to drink water and go for walks. Under the Animals and Birds Act, convicted offenders who fail in their duty of care towards animals while conducting an animal-related business may face a fine of up to $40,000, a jail term of two years, or both, said the AVA.